David Turin—cooking real food from scratch since the '80s. David Turin is chef and owner of David’s Restaurants: David’s and David’s Opus Ten in Portland, Maine, and David’s 388 in South Portland, Maine. Each of the restaurants is known for imaginative flavor combinations showcasing fresh, quality ingredients with an eye to the season. David was honored by the Maine Restaurant Association as Maine’s 2012 Chef of the Year. 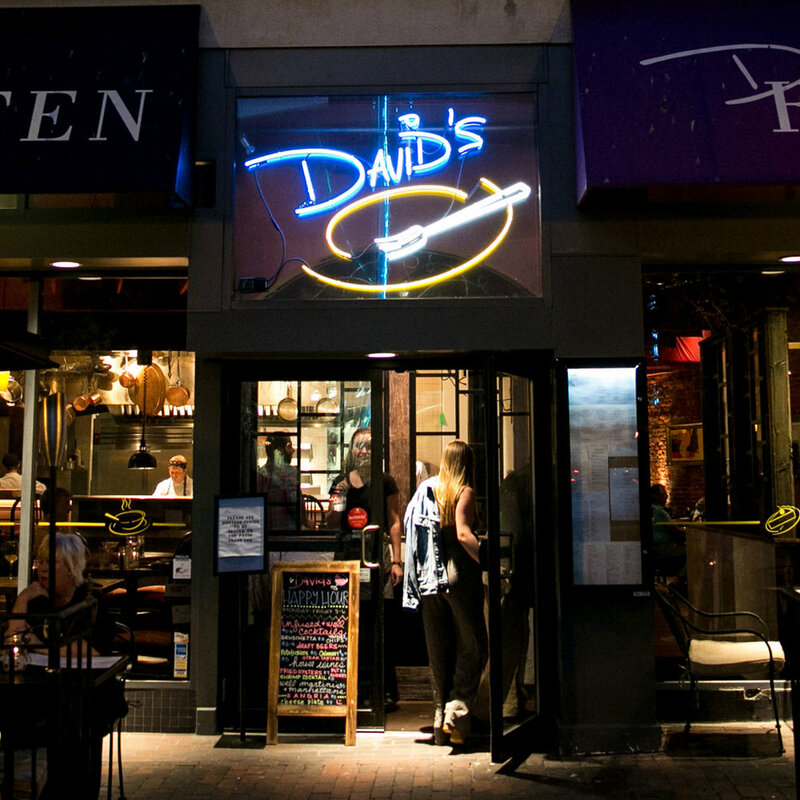 David’s 388 received 4½ stars in a 2012 Maine Sunday Telegram review, calling it “home to one of the finest high-end casual dining menus in greater Portland.” In 2014 it was again awarded 4 ½ stars in the Portland Press Herald. David has owned and operated his own restaurants for nearly 35 years. In October 2014 Opus Ten presented a special dinner at the James Beard House in NYC. When he’s not in the restaurant cooking, he can often be spotted pursuing his other passion, surfing.